This spring, we were looking for a place to hunker down and get some work done. 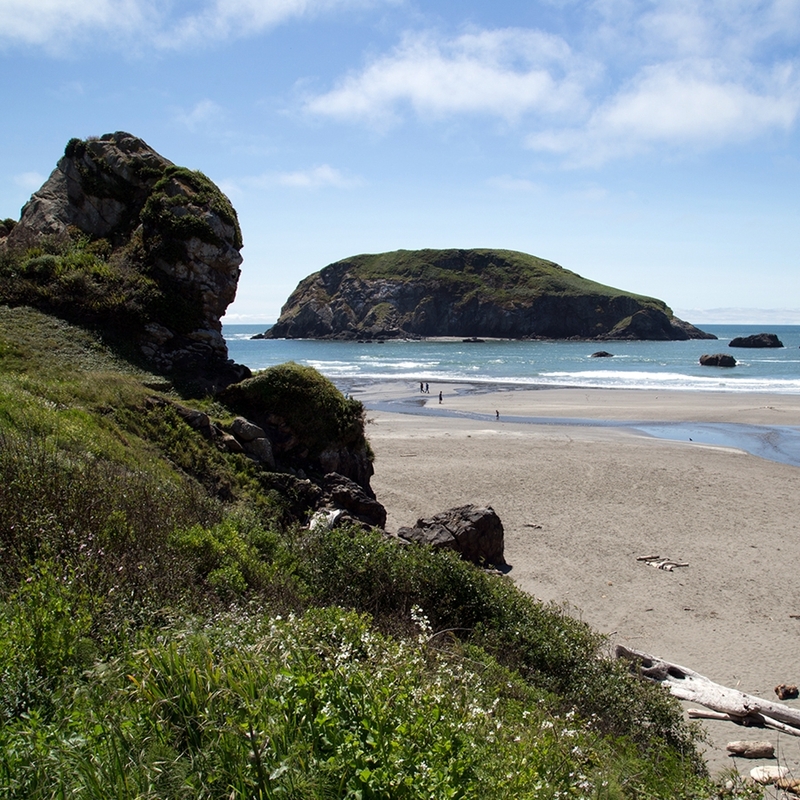 Figuring the beach would be an ideal place to spend a month, we booked our stay at Shoreline RV Park in Crescent City, a town of 7,600 in Northern California. The only issue we had was with our accommodation; more on that at the end of the post, but we don't recommend staying at Shoreline RV Park. 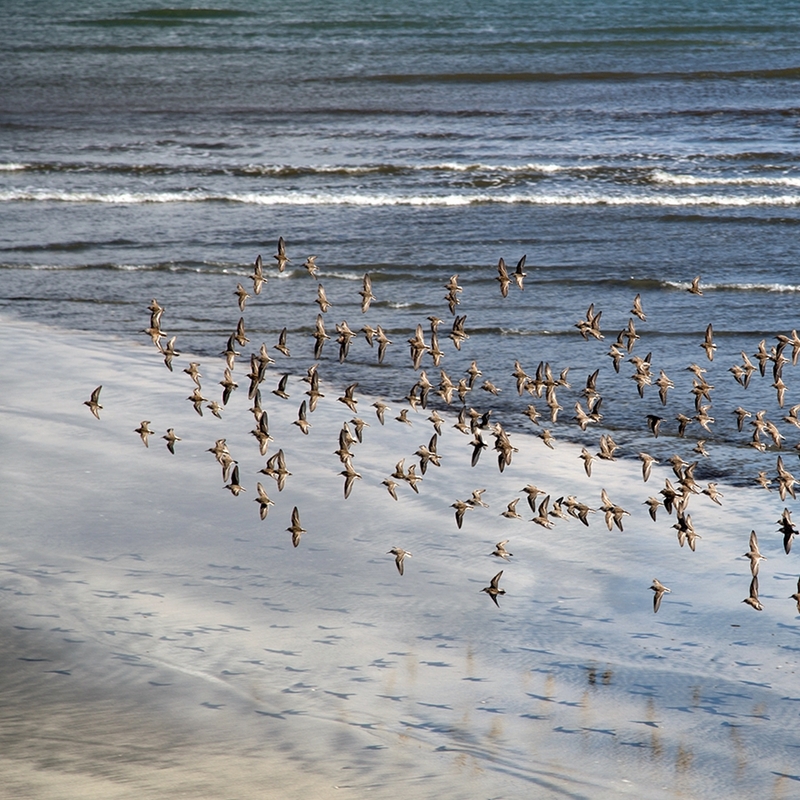 Whether you're a fan of placid shores or rocky coastlines, you can find what you're looking for in Crescent City. 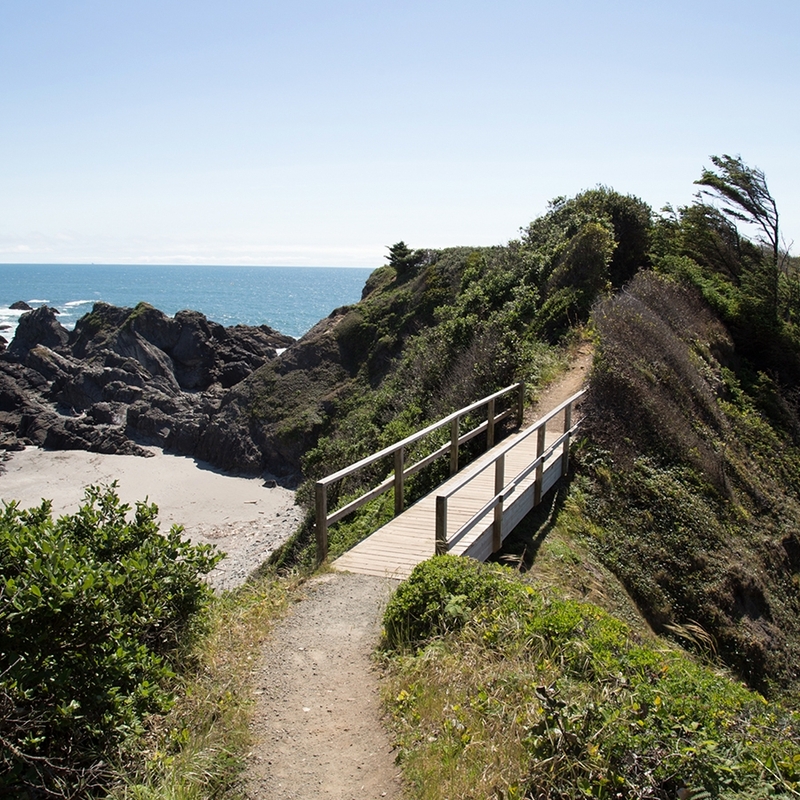 Just a few steps outside our RV was one of Crescent City's beaches and its marina. This area was protected from larger waves by the breakwater, so the calm waters were great for kids and dogs. 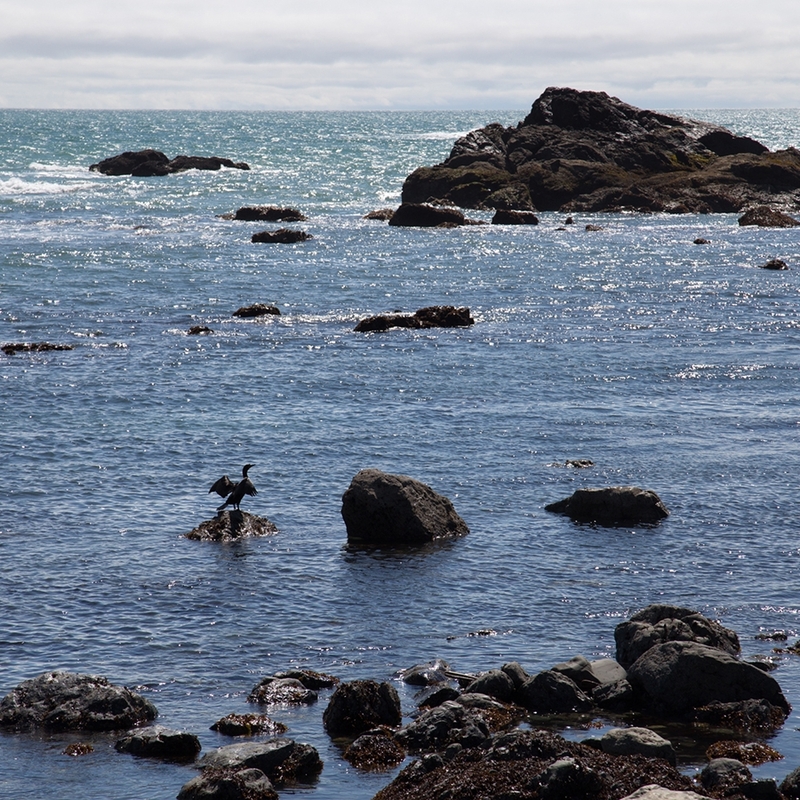 We could even hear sea lions in the morning barking across the way, although we only saw one once. The beach was nearly always empty, and Gabby loved running around off-leash. On the other side of the breakwater, it's an almost unrecognizable scene. Dark rocks interrupt the water, sending up walls of spray. 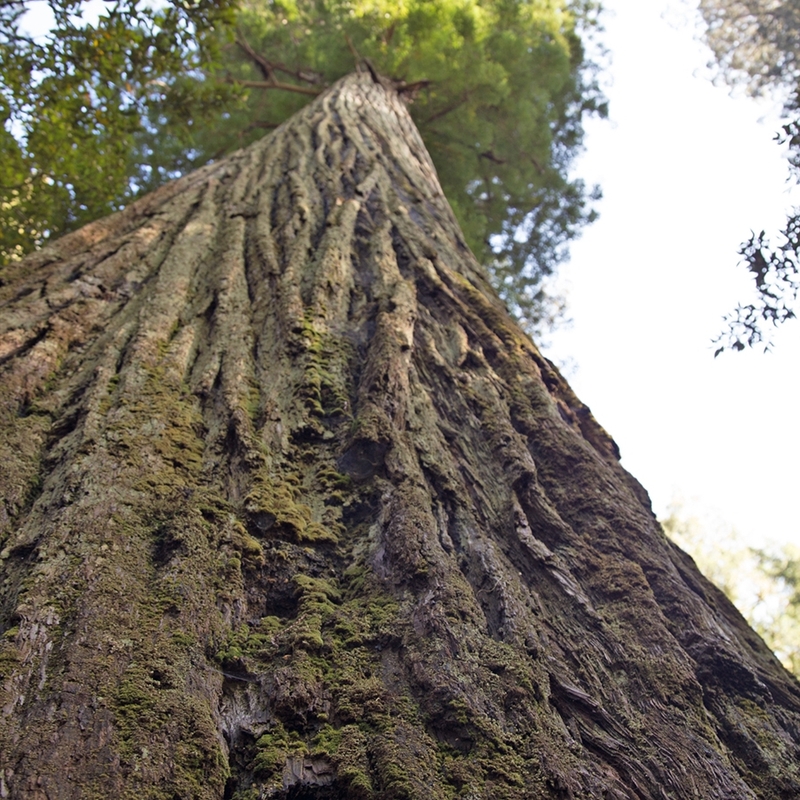 Take the exit off Highway 101 onto Highway 199 just a couple minutes outside Crescent City, and you'll almost immediately find yourself under a dense canopy of redwoods, the tallest variety of trees in the world. Get ready to crane your neck! We took a couple of small hikes in the park. The first was Stout Grove, reportedly the most scenic grove in the park. 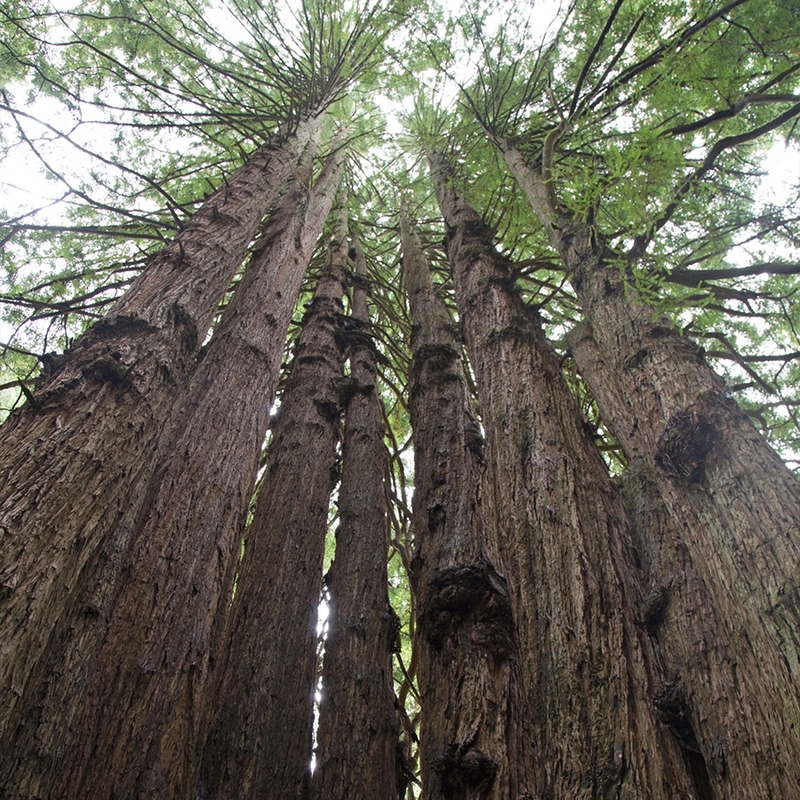 Some argue it's among the most scenic of redwood groves, period. This 0.6 mile flat hike is accessed along a dirt (sometimes muddy) road with a parking lot at the end. Because it's a bit of a journey to get there, it's not usually too crowded. From there, we took to the Simpson-Reed Trail, a 0.9 mile flat easy trail with some amazing rays of light in the mid-afternoon. It's right off the highway and easy to find. 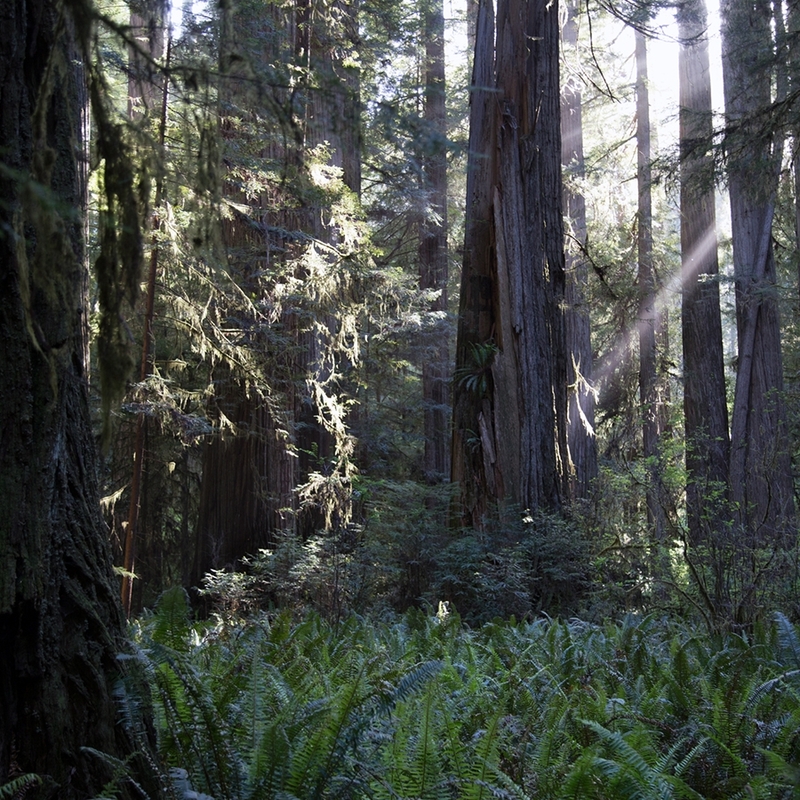 If it looks like Endor from Star Wars: Return of the Jedi, there's a good reason for that. 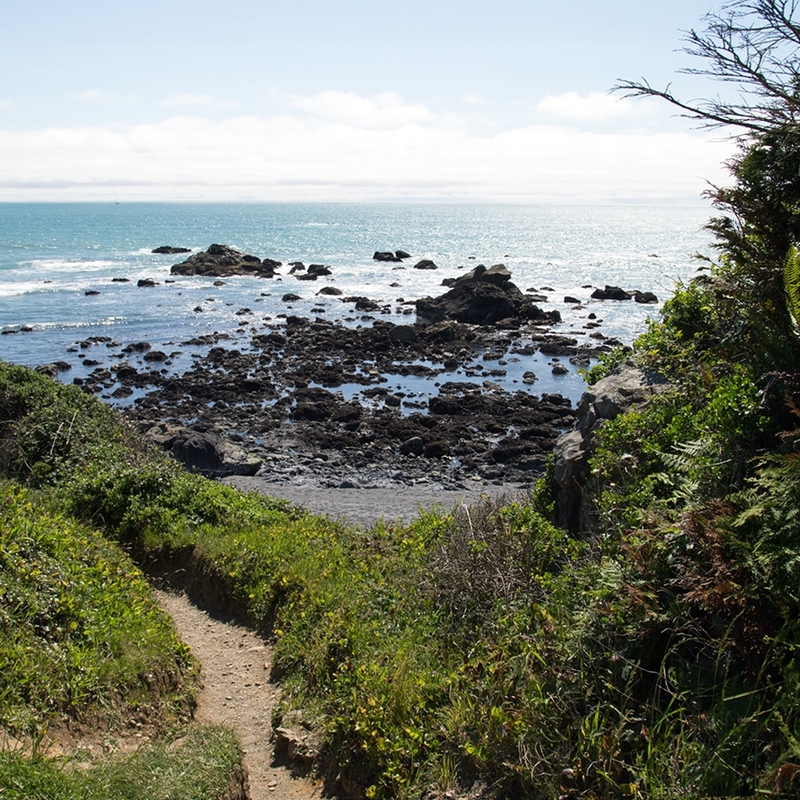 I was feeling particularly cooped up in the RV one day, so I took a solo day trip to Brookings, Oregon, a 30 minute drive away. 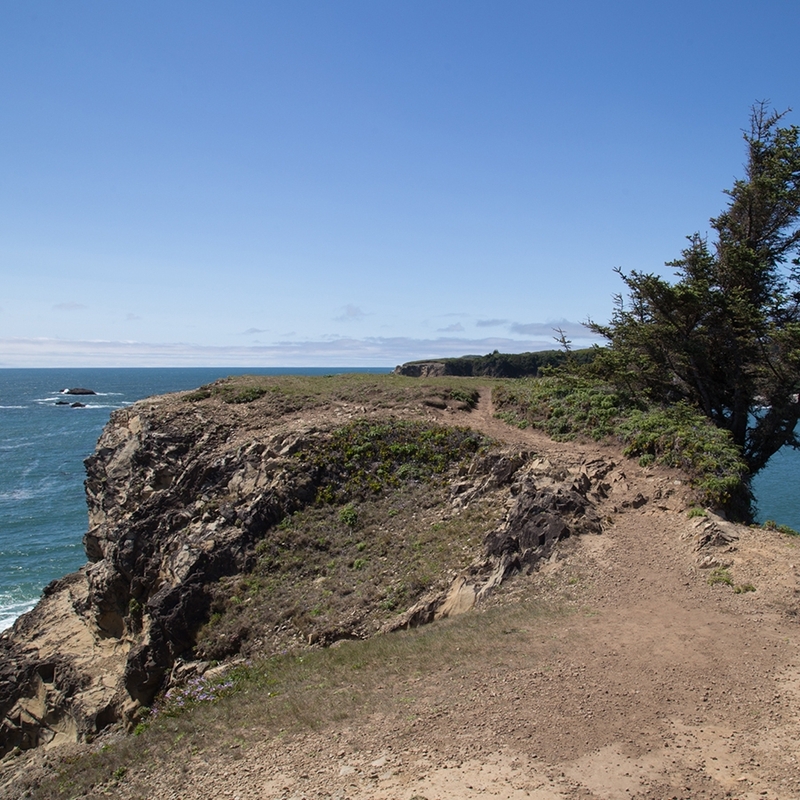 My first stop was Harris Beach State Park, which has several day use areas for exploration. There was no cost to enter the park, so I pulled in, parked, and headed down to the water. There were several people flying kites and families playing in the sand, but all in all, it was pretty quiet. 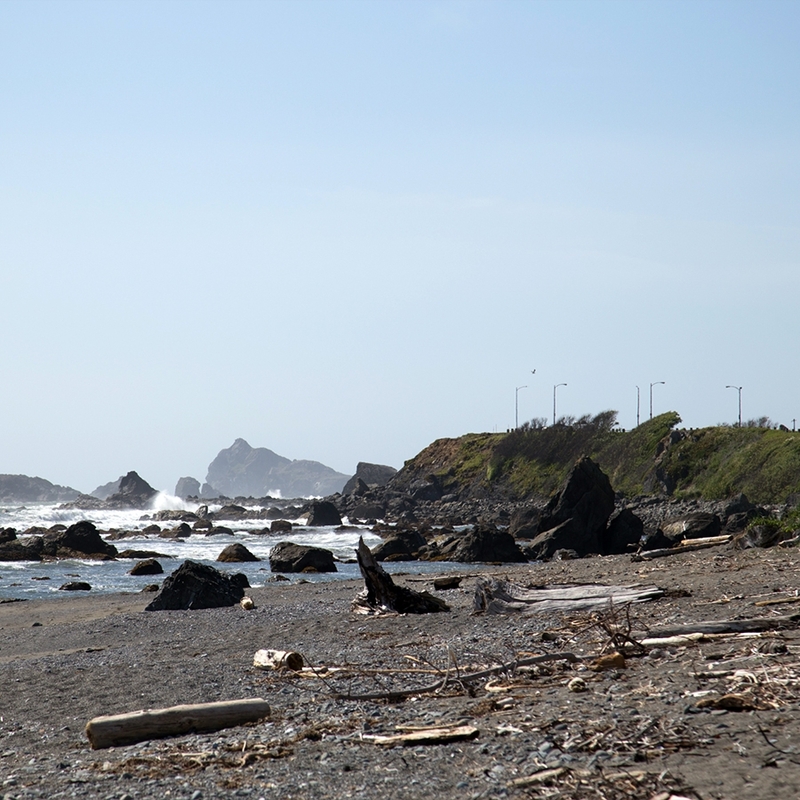 Next up was Chetco Point Park, which is a little tricky to find. From Highway 101, turn south on Wharf, continue over Railroad, and follow it 0.4 miles until you see a gravel lot in front of the waste water treatment plant. Park there and follow the trail to your right. The trail begins benignly with a downward slope and a picnic table or two. But then there's a "proceed at your own risk" sign that leads straight up into thick trees. Do not proceed if it's raining or foggy. Seriously, there are some very abrupt, steep drop-offs here! You'll emerge into the sunlight at this bridge. From here, you'll find views of private beaches, the shoreline, and windblown trees. The trail gets even narrower ahead, but I wouldn't recommend going past this point if you have dogs or small kids, or if you're afraid of heights. It's windy up there, and a misstep would mean a very bad fall. 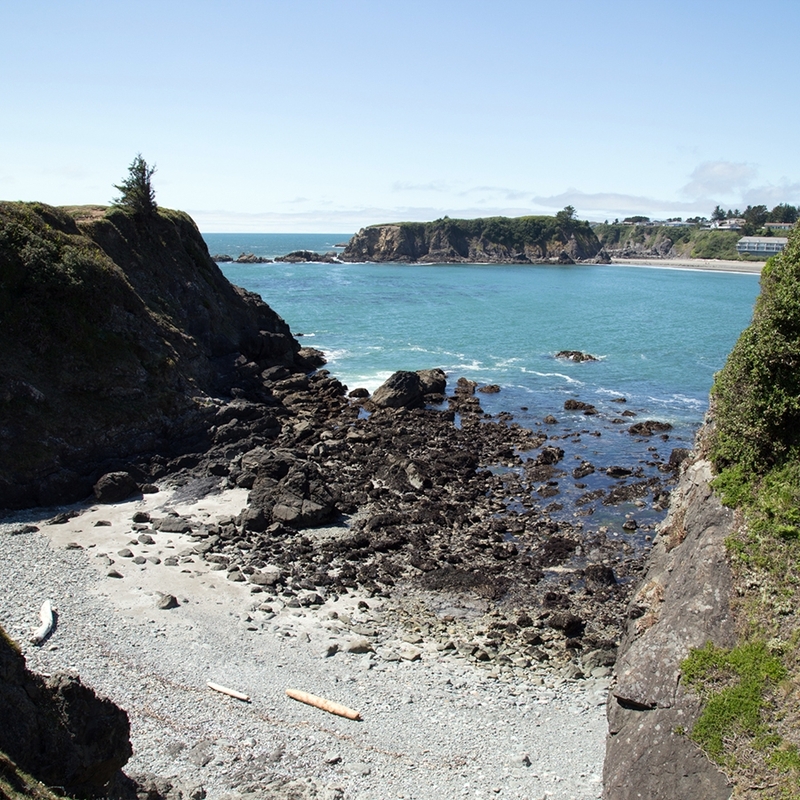 My final stop on my tour of Brookings' beaches was McVay Rock State Recreation Area, another tricky-to-find spot. The entrance is on Seagull Lane at 42.021332, -124.234228. 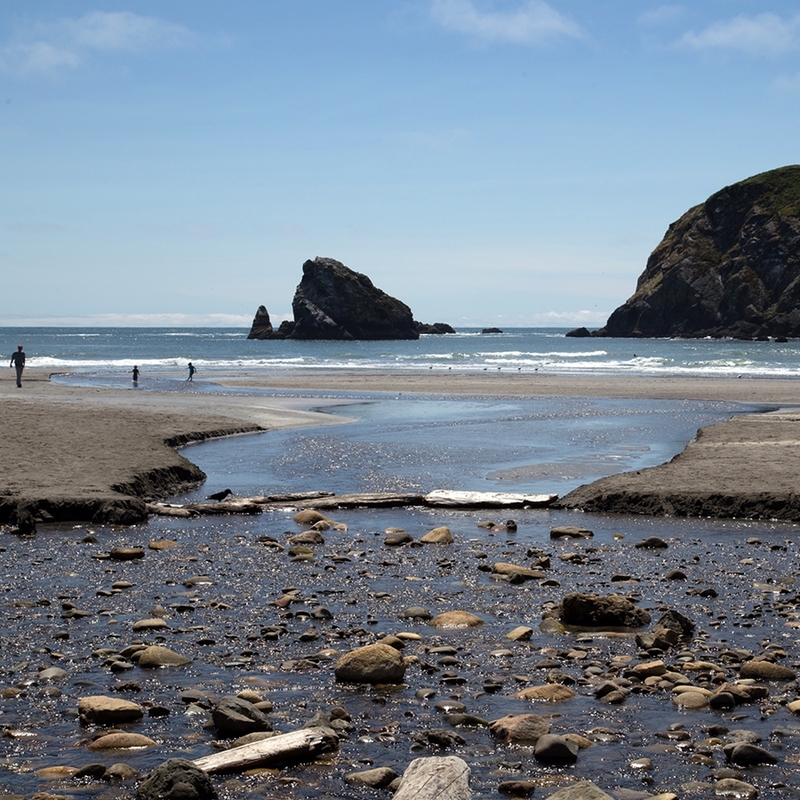 Despite there being a couple other cars here, I was literally the only person on the beach, wandering around driftwood, tidepools and rocky outcroppings. 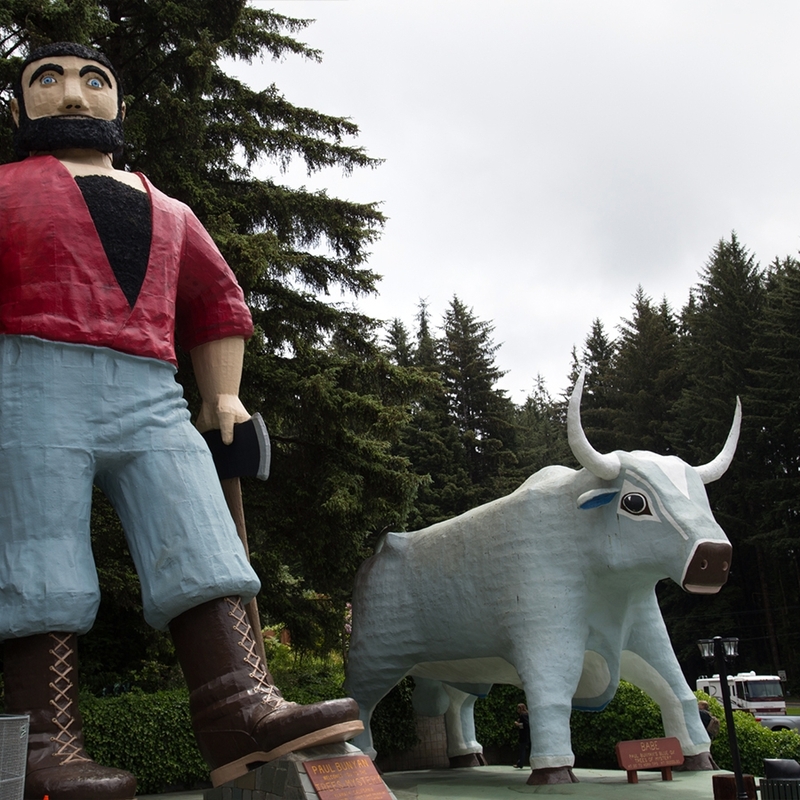 Just a 16 mile drive from Crescent City is the Trees of Mystery, a kitchy tourist trap we actually really enjoyed, complete with a giant Paul Bunyan and Babe the Blue Ox. This privately owned attraction is $16 per adult. Despite the cheese factor, we found it to be an entertaining experience. 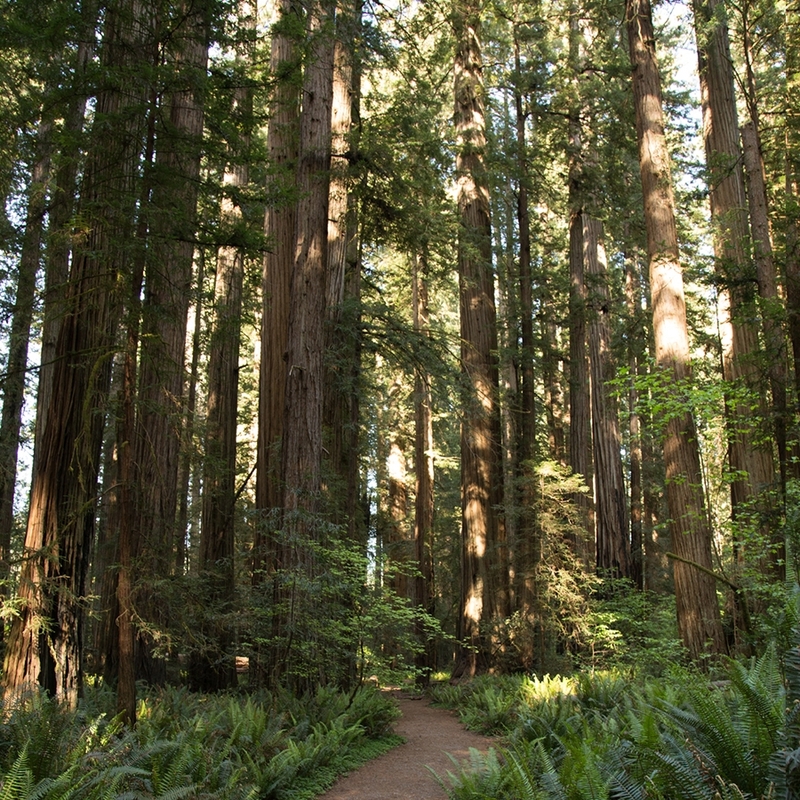 When you enter the park, you'll start on a self-guided hiking trail through redwoods with signage pointing out trees of particular interest. 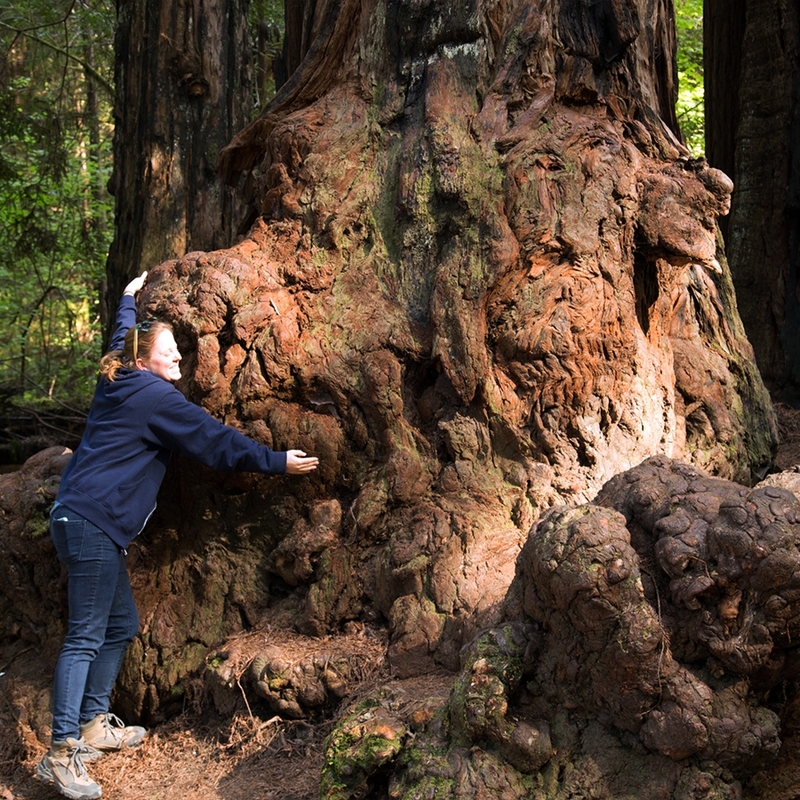 One of these is the Cathedral Tree, which is a family of redwoods that grew around the trunk of a now-fallen tree. 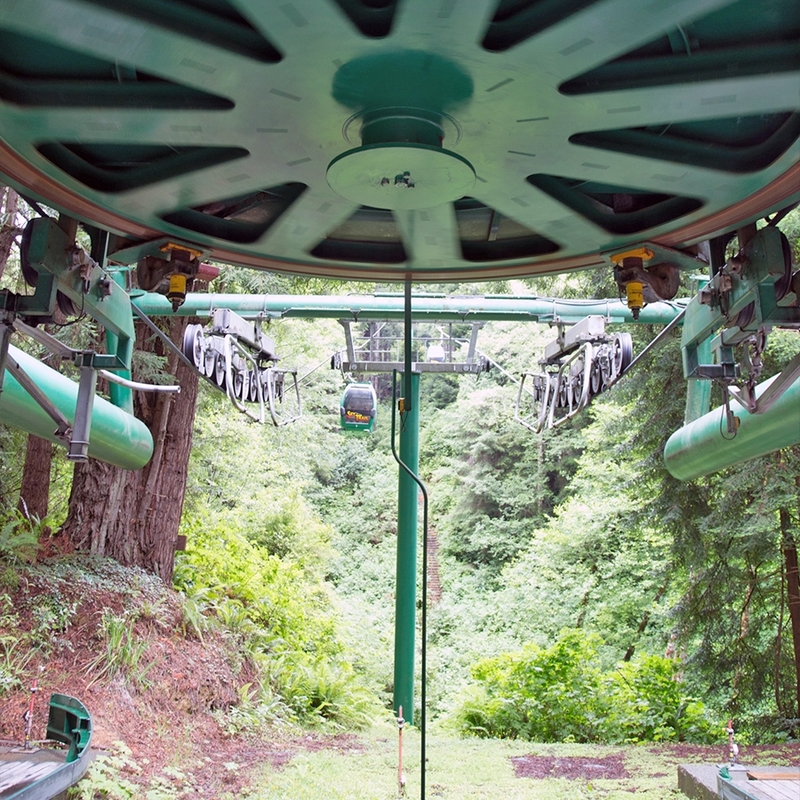 The aerial tram ride to the top of the property is included in the ticket price, and it lets you off at a view that is probably a bit more spectacular in the winter when there are fewer leaves to block it. To return to the gift shop, you have to go back down via the aerial tram, or hike down. It's a 1-mile hike, and walking sticks are provided at the top. I laughed at the worker when he said it was a 45 degree angle trail, because, seriously, who would put in a 45 degree angle trail? But the joke was on me. Did I mention it had been raining and was super muddy? Fun times. 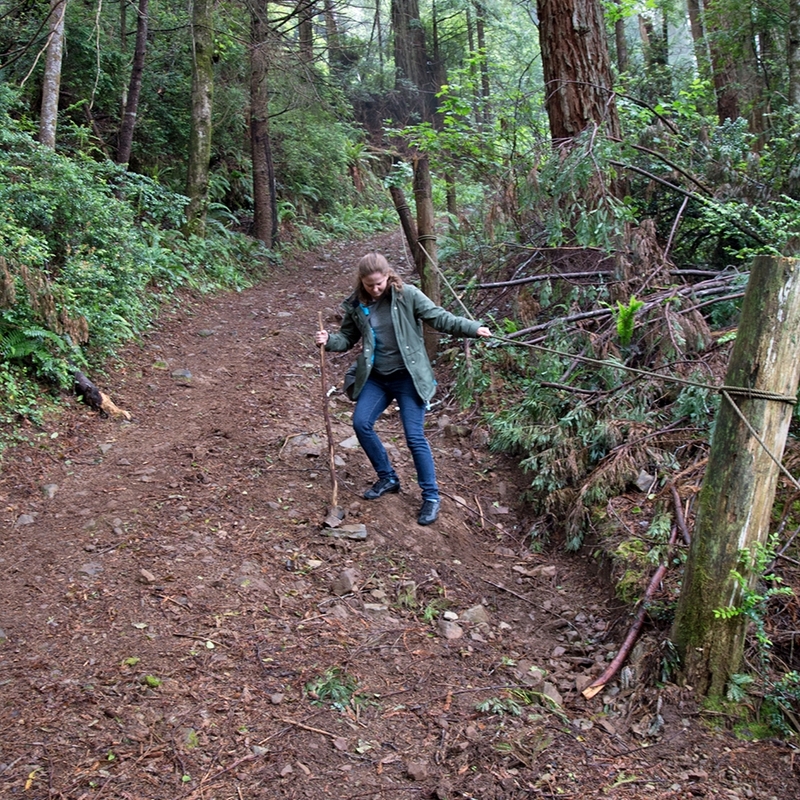 Bring hiking poles with you if you do this trail. 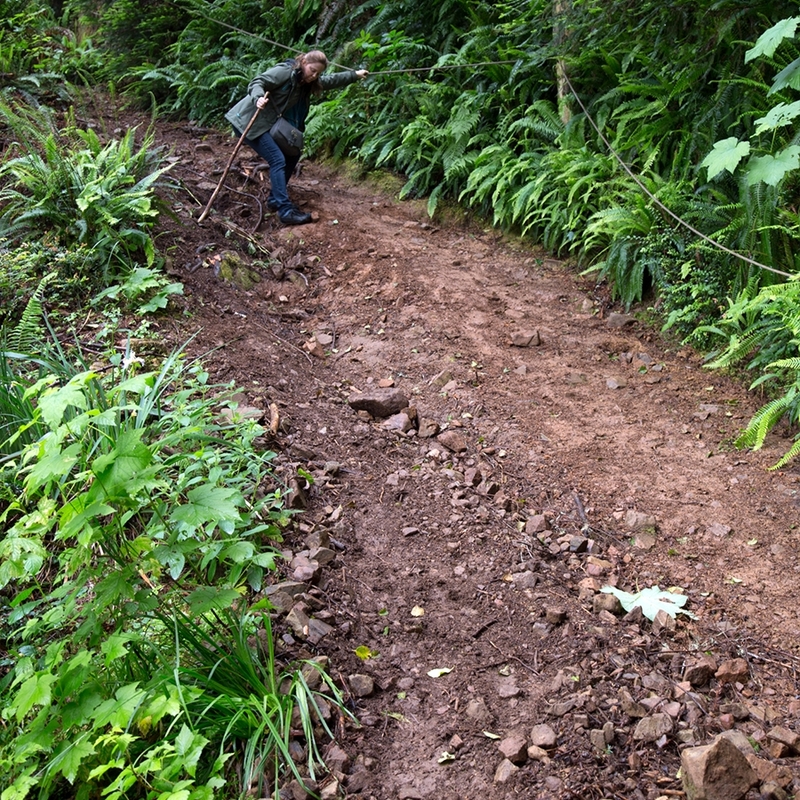 Or better yet, just don't do it if it has been raining or if you're not a strong hiker. 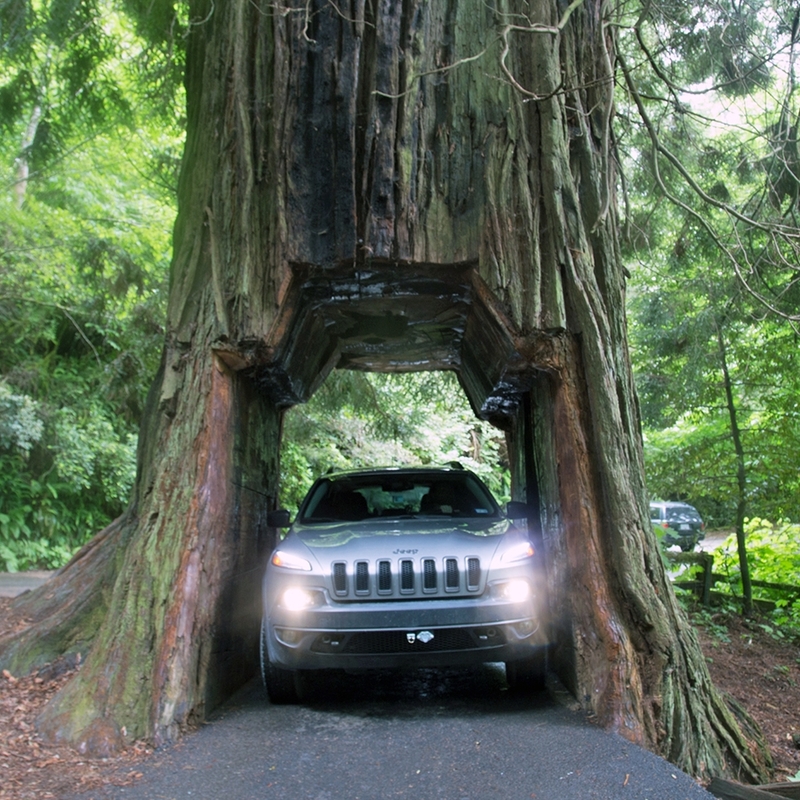 Our final adventure in Klamath was a good old fashioned drive-through redwood. We found one that was $5 per car. There's not much to do here beyond get your picture taken, but it just seems like one of those things you should do. On the surface, Shoreline RV Park was a decent place to stay. It was convenient to groceries and had its own shower and laundry facility. It's right on the beach, so we could walk from our rig right to the shore. We had a bike saddle and seat post stolen right off the back of our rig, where the bike was heavily chained, within 24 hours of our arrival. We were told by the police who came by to make a report that there is a drug problem in the area, causing plenty of petty crime. Following this, we had issues with the management, who were uncooperative at best and offensive at worst. 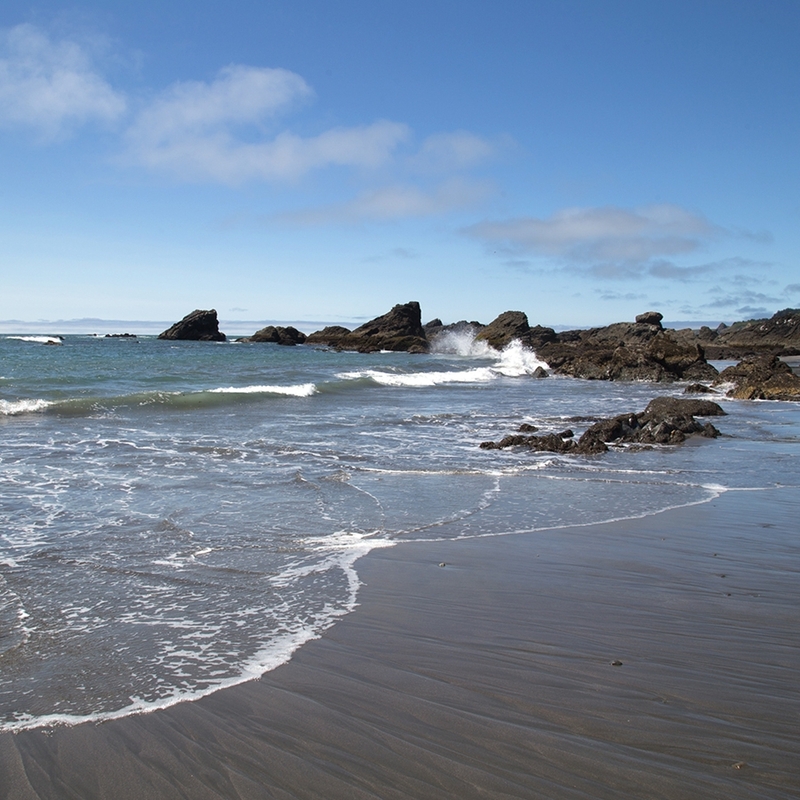 You can read our more detailed review on Campendium at https://www.campendium.com/shoreline-rv-park-crescent-city-ca. Also, did we mention that the harbor has an annoying horn that sounds literally every 5 seconds? Because that definitely started to grate on us after a month. 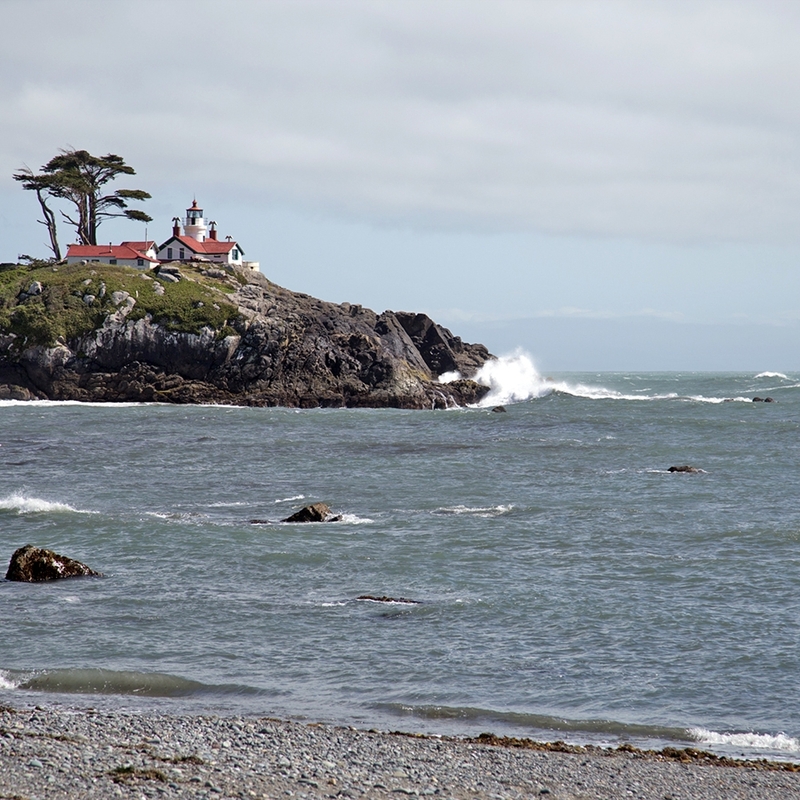 Bottom line: we really enjoyed exploring the coast of Northern California and Southern Oregon. Tell us what we missed! What are your favorite places to visit in this area?